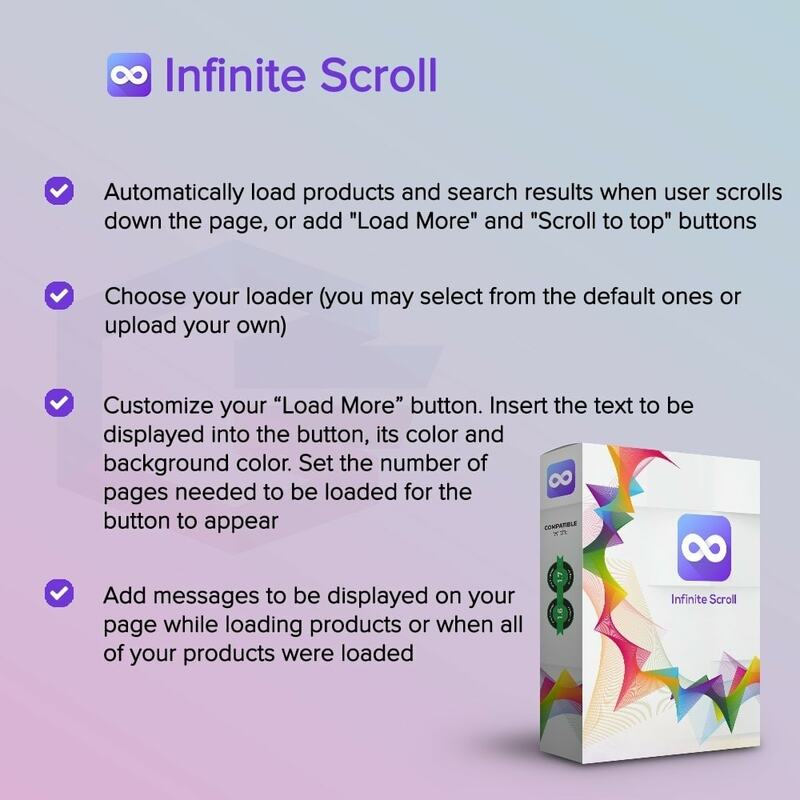 Upgrade your store with a new awesome feature to scroll down through the pages, to watch all your products or search results, without boring pagination pages. 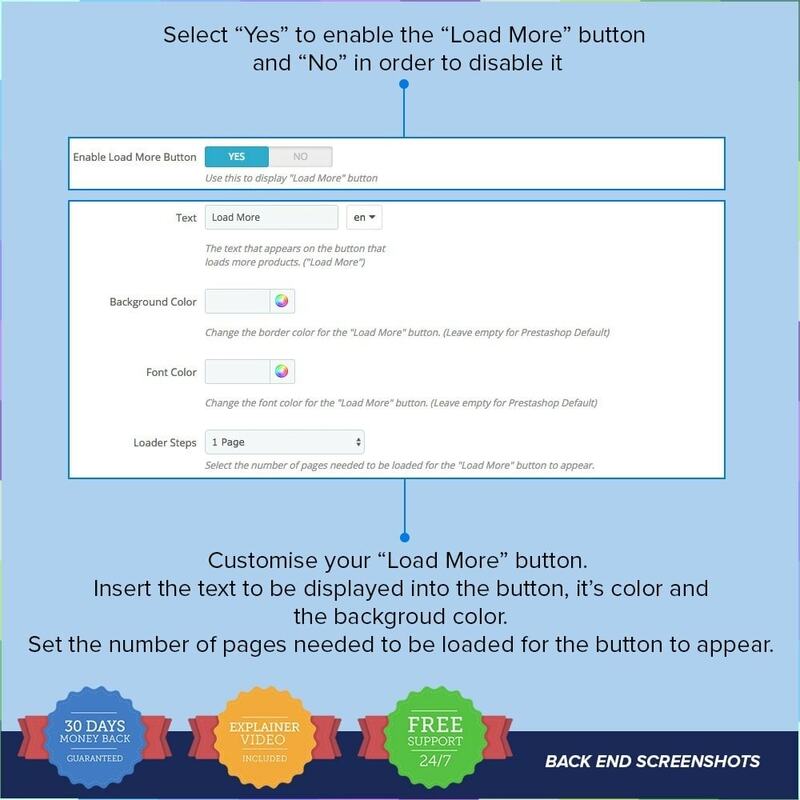 Add customizable buttons to "Show All" of your products, or to "Load More" of them. 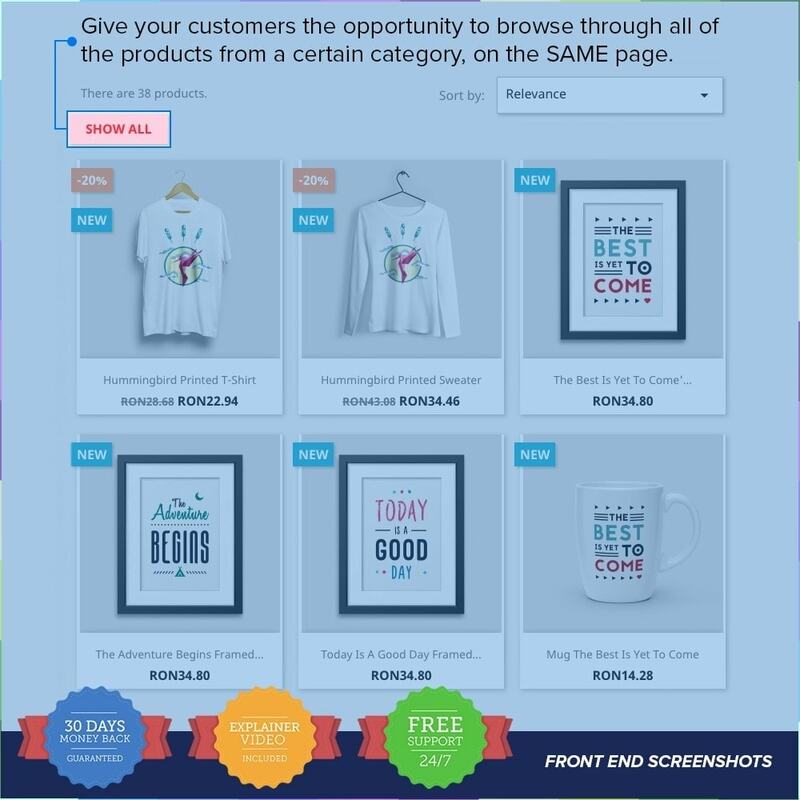 Select after how many products displayed you want your buttons to appear. Enable the "Scroll to Top" button, integrated in this module, so you don't have to buy it separately. 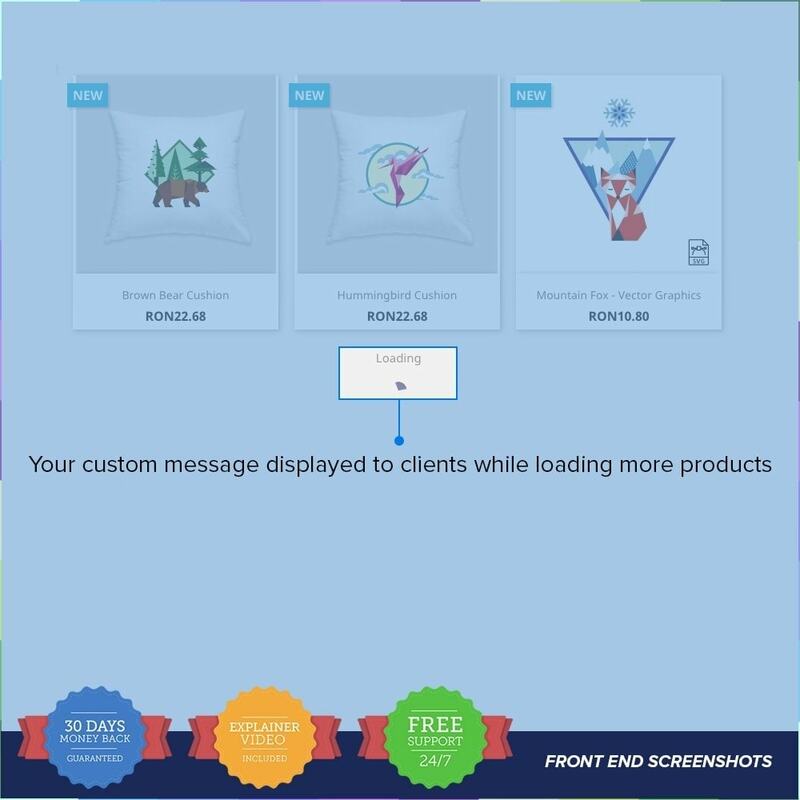 Let your customers know that you care about their time and needs, displaying custom messages while loading or reaching the end of your products. Let them feel the change! 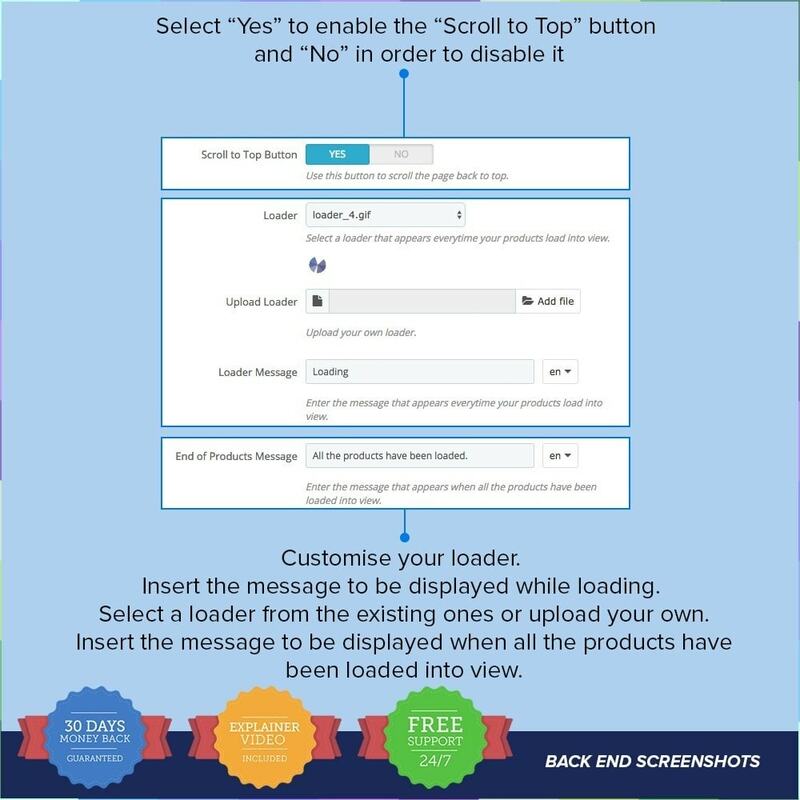 The first Classic Order Cart Dropdown you need to engage your customers easier. Offer them the most important feature on the cart. 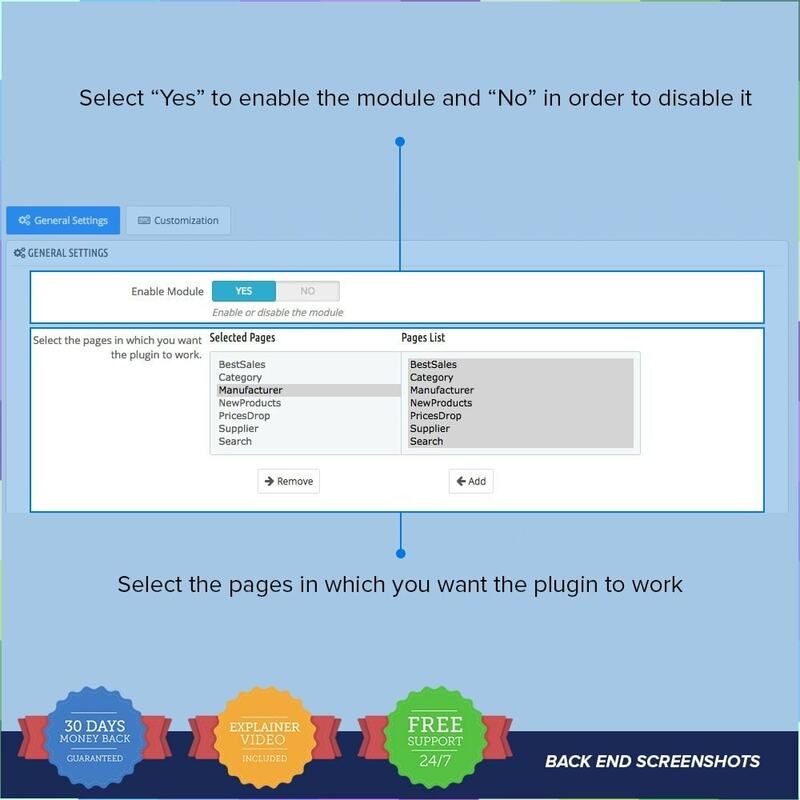 Access cart from any page without being redirected to order page. 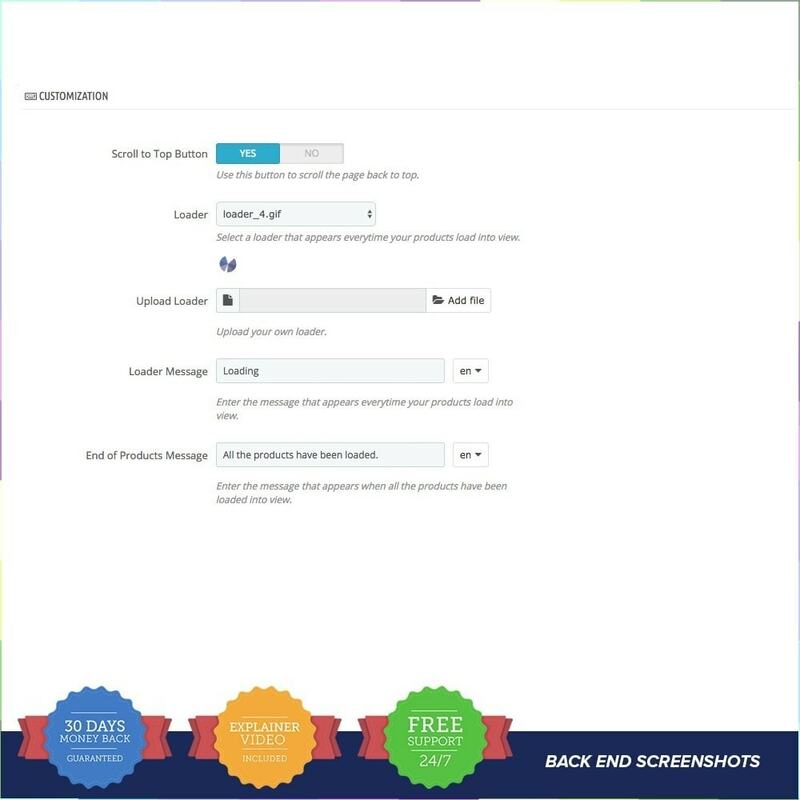 HomePage Product/Banner Blocks module shows manufactures for each displayed product, blocks of products from specific categories and lets you upload banners of your choice for each block. 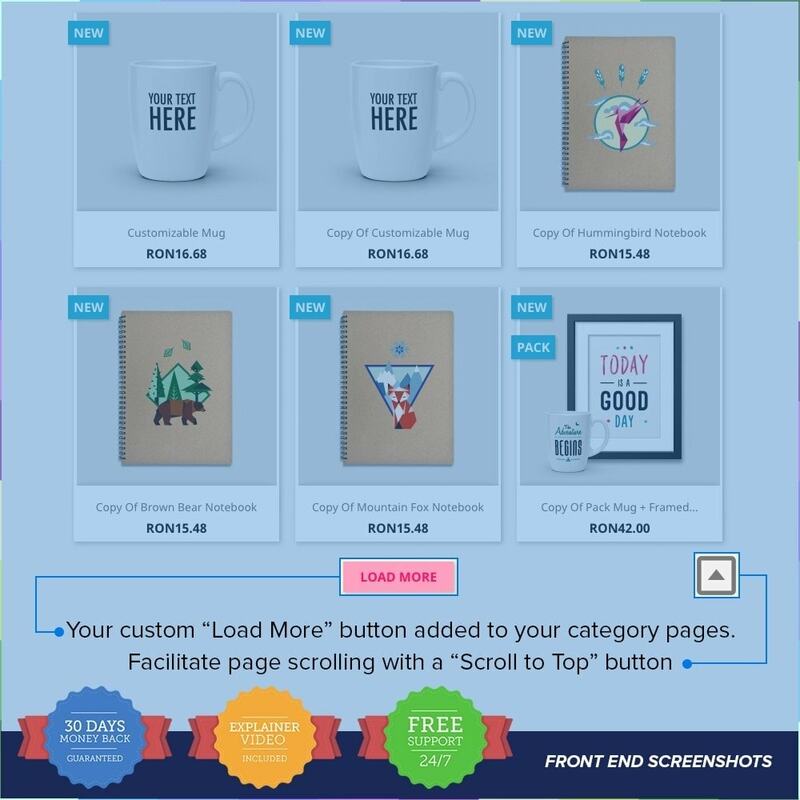 This module will hide pagination and will automatically load next set of products on the same page without even pressing a button or click the mouse! 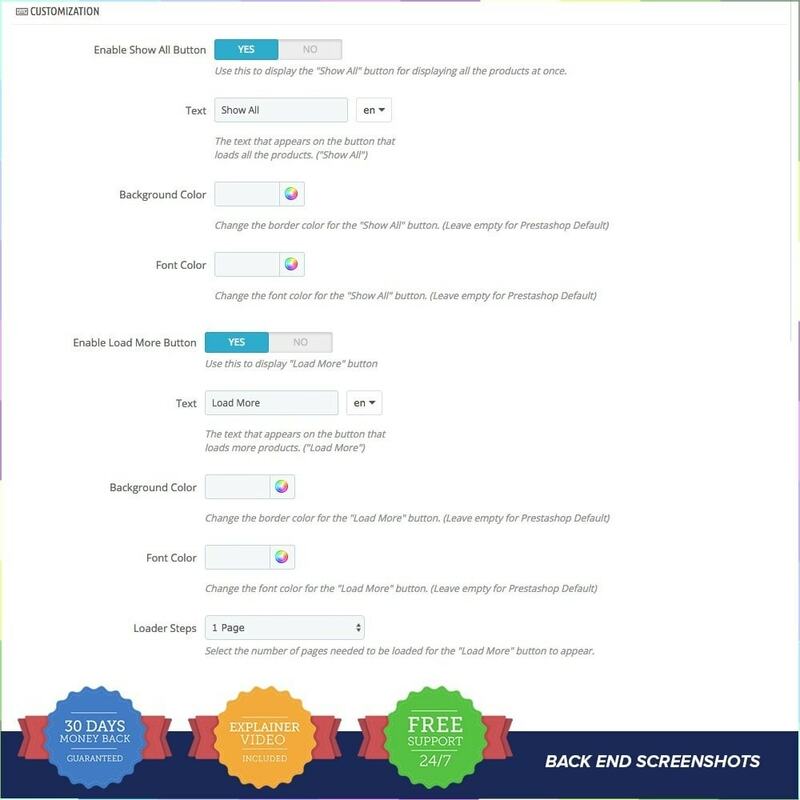 However, the option of manual advance also exists, allowing your customers to press the "Load More", "Show all" and "Scroll to Top" buttons for scrolling further through your shop.